The perfect system for rejuvinating the body and mind. A detox's primary goal should be to rid the body of toxins while also nourishing the body, and that is exactly what we set out to do while developing this system. If you want to give your body a true jumpstart, you're going to want to read on. Our 9-Day meal-plan, fasting guide, and workout strategy treat detoxing as the holistic science that it is, providing you with everything you need to reset your body and begin a path of health and wellness, or to simply supplement your ongoing holistic routine. It's important to start off with a good foundation before undertaking a true detox program. You need to prepare your body and ensure that you have everything on our checklist below. Note that this programme also includes meditation and a moderate amount of physical activity. Unlike most detoxes, which are little more than glorified smoothie-binges, our system is designed to actually stimulate the body and bring it back into holistic balance. That requires a bit of work, however, but once you try it, don't be surprised if you find yourself incorperating some of the routines in your everyday life after the detox is done. First and foremost, for two weeks before starting the actual detox, a basic cleanse is highly recommended. This will ensure that if you have toxins to expel, your body will be prepared. It is important to nourish the body while cleansing though, and it is for this reason that we use activated charcoal, one of the best ways to clean the digestional tract while providing supplemental benefits to the body. You will take 1 capsule every morning with two glasses of warm water and 1 capsule every night before bed, for a full 14 days before beginning the detox. -Find a comfortable place to sit where you won't be disturbed. Enter the lotus position or if you are not yet flexible enough, a basic cross-legged pose will suffice. -Close your eyes and begin to breathe deeply and evenly through your nose. Do not concentrate on anything in particular. Let your mind go blank as best you can. If thoughts pop up, just let them gently pass. -As you get used to the rhythm of your breathing, become aware of it filling your body. See it in your mind's eye as pure light entering and exiting you. -Once you are finished, allow yourself a few seconds of grounding. Detoxing shouldn't just be about getting rid of chemicals in the body. Any holistic healing system that does not include the mind can only be marginally effective long-term. 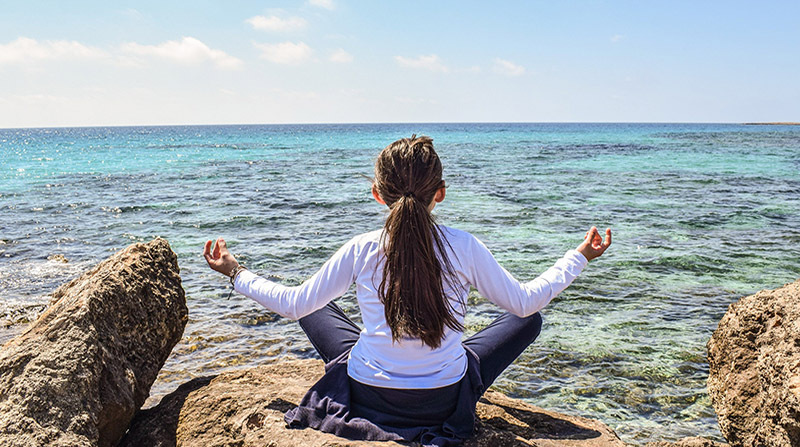 Behavior and mindset play a crucial role in how we treat our bodies, and how they are able to cope with the stress we place on them day in and day out. A mentally fatigued or weak individual will be that much more susceptible to harmful substances in the body. Mood has a huge impact on how our bodies fend off disease. It is recommended that during the two weeks leading up to the detox, processed foods, meat, and alcohol should be limited or cut out altogether. Your body will appreciate the head start, and will allow the activated charcoal to do its job better. Each day of the detox wil be somewhat different, and the directives for each day must be followed specifically to get the best results. There are some general rules for each day however, that we'll cover first. 1. This is a Raw Detox. Nothing you eat for 9 days will be cooked or processed. 2.This is based on a natural human diet meant to heal the body, so no meat or dairy will be ingested. 3.There will be fasting during one phase of the plan. Fasting is necessary to give your body time to heal and purge itself of excess chemicals. 4.Use good judgment: If you feel as if you can't go through the entire plan, it's okay to try it again at a later date. The first three days of this detox are arguably the most intense, especially if you have not taken on any fasts or similar activities before. However, it's important to follow through with every directive if you want to experience the full benefits of the plan. 1. Start first morning with a glass of warm water with a tsp. of lemon juice and pinch of tumeric added. Take another activated charcoal capsule with it. 2. Perform 30 minutes of pranayama meditation. 3. This is a fasting day. Eat nothing, but drink plenty of water. Frequently remind yourself to breathe deeply and evenly through your nose, as this will lessen your chance of getting a headache. You should drink no less than 10 8oz glasses of water through the day. 4. For dinner, take 1 pint of water with 2 tbsp of pure maple syrup, the juice of half of a lemon, and a pinch of tumeric. 5. Perform another 30 minutes of pranayama meditation after dinner or before bed. 6. Take one last capsule of activated charcoal. 1. Start the second morning with another glass of warm water with a tsp. of lemon juice and pinch of tumeric. 3. This is another fasting day. Eat nothing, but continue to drink a lot of water. You should drink no less than 10 8oz glasses of water through the day. 2 extra glasses of lemon water can be added. 1. Start the third morning with another glass of warm water with a tsp. of lemon juice and pinch of tumeric. 2. Perform an hour of pranayama meditation. The key will be to ignore any cravings from the stomach and to let calm pervade you. 3. This is another fasting day. Eat nothing, but continue to drink a lot of water. You should drink no less than 6 8oz glasses of water through the day. 4 of these should be glasses of lemon water. 4. Throughout the day, drink at least 2 cups of herbal tea. We recommend Yogi "Healthy Fasting" tea, but matcha green tea is also suitable. 5. For dinner, take 1 pint of water with 2 tbsp of pure maple syrup, the juice of half of a lemon, and a pinch of tumeric. 6. Perform another 30 minutes of pranayama meditation after dinner or before bed. By now it is likely that you will be experiencing mild detoxification symptoms, such as foul sweating, mucus build up, clogged sinuses, restless sleep, headaches, cravings, bloating, skin rashes, etc. You may also be dealing with low energy or brain fog. The important part of the fasting section is to focus on introspection, releasing pent up emotion, negative thinking, limiting behavior, and stress. As uncomfortable as hunger is, you can use it as a way to bring you into the now. As you perform your meditations, use your willpower to go beyond the discomfort. If you manage to go through 3 days of this fast, your body will reward you. The next three days, or middle of the detox, will be about reintroducing healthy food to your body. After the fast, your body will be set for the unhindered absorption of nutrients. This phase will also introduce light exercise to stimulate the body and instill healthy behavior patterns. 1. Start the fourth morning with a glass of warm water. Do not add anything. 2. Perform fifteen minutes of pranayama meditation. 3. 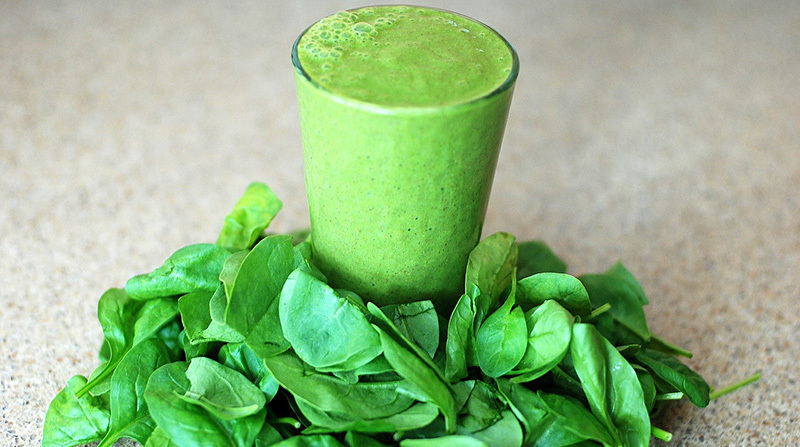 For breakfast, drink one Sage Blast detox smoothie (refer here for directions on making it). 4. For lunch, take 1 pint of water with 2 tbsp of pure maple syrup, the juice of half a lemon, and a pinch of tumeric. 5. Before dinner, perform 15 minutes of pranayama meditation, followed by our Return to Balance routine, which is a short yoga and stretching routine you can view here. 6. For dinner, drink another Sage Blast detox smoothie. 7. You should drink no less than 6 8oz glasses of water through the day, as well as herbal tea (preferably green tea at this point). 8. Perform another 30 minutes of pranayama meditation after dinner or before bed. 1. Start the fifth morning with a glass of warm water. Do not add anything. 3. Perform the Morning Balance routine, which is a short yoga and stretching routine designed to prepare your body for the day. You can view it here. 4. For breakfast, drink one Balanced Morning Detox Smoothie (refer here for directions on making it). 5. For lunch, take 1 pint of water with 2 tbsp of pure maple syrup, the juice of half a lemon, and a pinch of turmeric. 6. Before dinner, perform 15 minutes of pranayama meditation, followed by another round of the Return to Balance routine. 7. For dinner, drink a Sage Blast Plus detox smoothie (this one has additional protein). 8. You should drink no less than 6 8oz glasses of water through the day, as well as herbal tea as desired. 9. Perform another 30 minutes of pranayama meditation after dinner or before bed. 1. Start the sixth morning with a glass of warm water. Do not add anything. 3. Perform the Morning Balance routine once more. Afterwards, perform 10 minutes of Concentrated Movement. 4. For breakfast, drink one Balanced Morning Detox Smoothie as before. 5. For lunch, drink a Sage Blast Plus detox smoothie. 6. Before dinner, perform 15 minutes of pranayama meditation, followed by another round of the Return to Balance routine. Follow this with another 10 minutes of Concentrated Movement. 7. For dinner, drink this Banana Apple Chia Seed Smoothie. The final three days of the detox are focused on more than just ridding the body of any lingering chemicals. The plan will set a holistic course that will pave the way for ongoing health and body mastery. Solid food is reintroduced, and the workouts become more intense. 1. Start the seventh morning with a glass of warm water. Do not add anything. 3. Perform the Morning Balance routine, as well as this 15-minute workout routine. Afterwards, perform 10 minutes of Concentrated Movement. 5. For lunch, eat this Detox Salad, with a glass of water with lemon. 6. In the afternoon, drink a Sage Blast smoothie. 7. Before dinner, perform 20 minutes of pranayama meditation, followed by another round of the Return to Balance routine. Follow this with another 15 minutes of Concentrated Movement. 8. For dinner, drink this Banana Apple Chia Seed Smoothie. 9. You should drink no less than 5 8oz glasses of water through the day, as well as herbal tea as desired. 10. Perform another 30 minutes of pranayama meditation after dinner or before bed. 1. Start the eighth morning with a glass of warm water. Do not add anything. 3. Perform the Morning Balance routine, as well as the 15-minute workout routine from before. Afterwards, perform 10 minutes of Concentrated Movement. Follow this with ten minutes of any cardio of your choice. 8. For dinner, drink this Avocado and Apple Smoothie. 9. You should drink no less than 5 8oz glasses of water through the day, as well as herbal tea as desired. 10. Perform another 30 minutes of pranayama meditation after dinner or before bed. 1. Start the ninth morning with a glass of warm water as always. This is something you should be doing every day to activate your digestive system. 3. Perform the Morning Balance routine once again, as well as this 15-minute workout. Afterwards, perform 10 minutes of Concentrated Movement. Follow this with 10 minutes of any cardio of your choice. 10. Perform an hour of pranayama meditation after dinner or before bed. Reflect over your newfound energy and the conscious decision you've made to live healthier. Let what you've learned carry you through each day. The detox should leave you feeling ready to take on the world. If you are left with any fog or malaise, it is likely a sign that a more sophisticated and hard fasting regimen is necessary, but a viable alternative is to continue eating raw as often as possible. As a rule, you can dramatically help your health by drinking plenty of water and incorporating green smoothies into your daily meal planning. Regular exercise and meditation will also assist in the process.